I was so desperate for a win today because of the consecutive defeats in official games such as the ACL. In order to cut the bad luck streak and gain momentum, the victory was crucial. Despite that we conceded a goal, the team calmly played and eventually came back from behind. This could be the key to get us back on track. For me, the good thing today is that I had a chance to score a goal, play aggressively and run as much as possible, whether I scored or not. Today, we worked hard which brought the good result. Manager Yoon rotated the team and sent on irregular members. So, I had to run a lot to cover them, not only me, but also Fukumitsu and Yang Dong Hyon did the same. It is important especially for irregular players to get a good result. As we achieved it, I am pleased that our hard work paid off. Q: When did you hear the about starting members? I suppose your manager had difficulty in selection today. I heard it at the meeting before the game. Q: Were you ready for playing? To be honest, I was ready for the game. 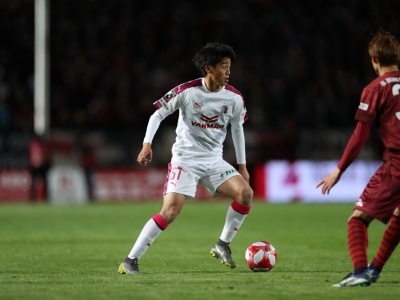 Mizunuma and Toshiyuki Takagi have been in a good form, so I was thinking that whoever is picked today, we could display a good performance. That is why I did not really worry about manager’s selection. In the end, Fukumitsu and I were picked, and we won the game after the team’s hard work. Q: What do you make of the first goal you scored? I succeeded in breaking down the defense to score the first goal though the defense was solid. I shot, while looking at the goalkeeper. Q: A ball was parried away after Hotaru Yamaguch’s attempt. Did that score the second goal? 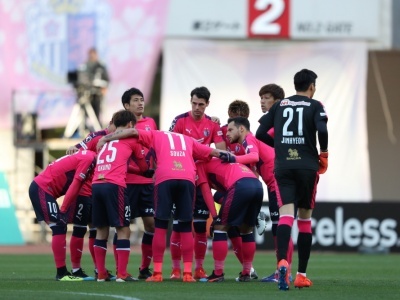 Momentarily, Yoichiro Kakitani came up to my mind as he always positions there whenever a ball is shot. With my hunch, I went there and the parried ball happened to come to me. My careful observations on bench brought me a good hunch. I also expected that the ball might be parried as Hotaru’s shots were continuously on target from the first half. Q: As you got through the difficult time, you must be extremely delighted with today’s result. What do you think of it? I am happy to come back to a pitch as a starting member. I do not want to get injured any more. Q: A win was necessary to sweep away the negative impact from the Osaka derby, wasn’t it? Some supporters looked like to have already switched their feelings and others have not yet. Given all of the factors, today’s victory was crucial. I was happy to see many supporters cheering us in the stadium. It is not easy to switch myself shortly after the defeat of the Osaka derby game. So, today, I feel that our supporters enormously contributed to our performance.